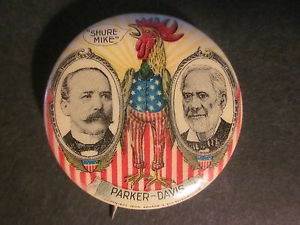 The presidential and vice presidential candidates for the Republican Party in 1904 were President Theodore Roosevelt and Charles W. Fairbanks and for the Democratic Party, Alton B. Parker and Henry Davis. At the Republicans’ June convention in Chicago, Roosevelt was unanimously nominated on the first ballot, and the leaders of the conservative wing of the Party selected Fairbanks, a conservative Senator from Indiana with close ties to the railroad industry, for the running mate. Roosevelt was not pleased with Fairbanks, but did not think it was worth fighting about. 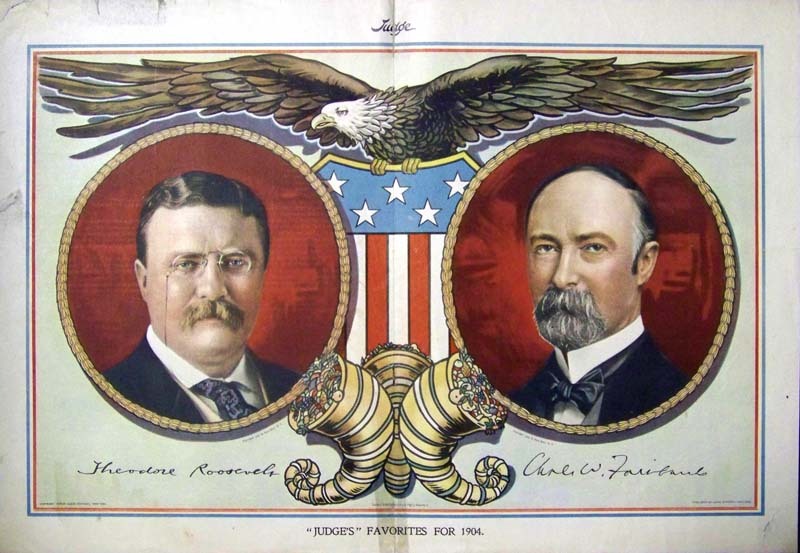 Roosevelt’s Secretary of State, John Hay, in a letter to American historian and author, Henry Adams, called this campaign “the most absurd political campaign of our time.” Roosevelt did not actively campaign. Instead he issued statements form his front porch at Sagamore Hill, and the Republican Party received large campaign contributions from wealthy capitalists, including J.P. Morgan, the financial leader of Wall Street and a director of the New York Central Railroad; Edward H. Harriman, the president of the Union Pacific Railroad and also a director of the New York Central; and Henry C. Frick, the steel baron. Roosevelt’s campaign slogan “The Square Deal” reiterated his comment on the settlement of the 1902 coal miners’ strike. He promised to “see it that every man has a square deal, no less and no more.” This pledge summed up Roosevelt’s belief in balancing the interests of business, consumers, and labor. 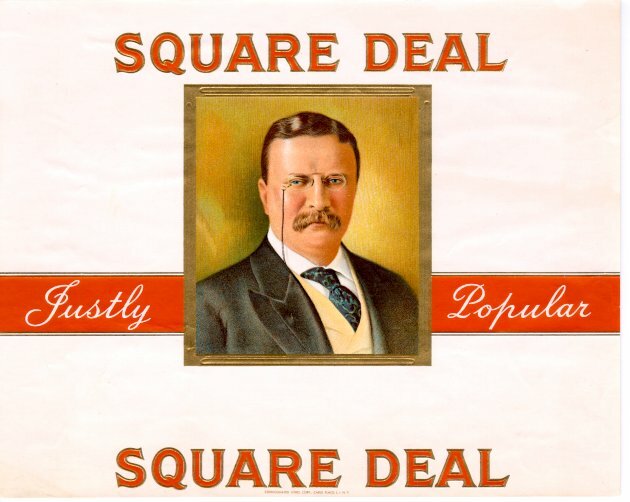 The Square Deal called for limiting the power of trusts (a person having control of a large corporation so that no others can succeed in the economy), promoting public health and safety, and improving working conditions. 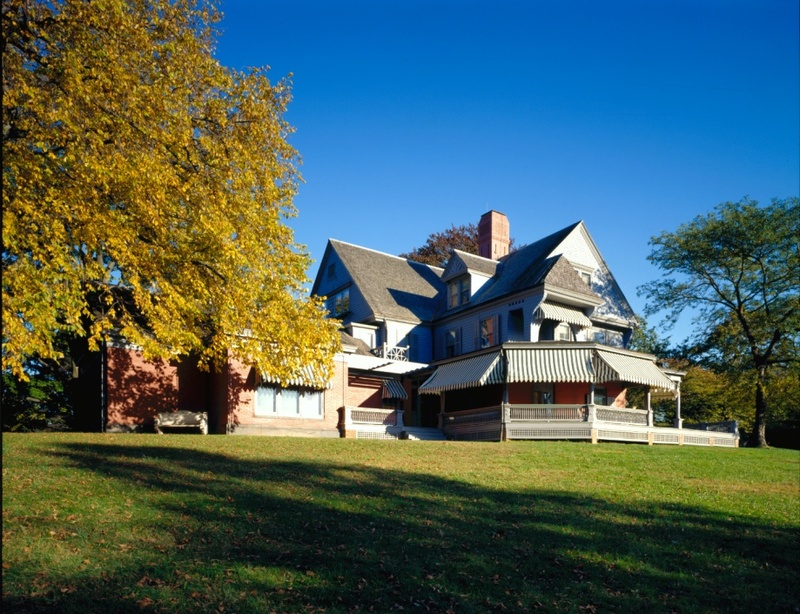 Sagamore Hill is now a National Historic Site, currently closed for renovation. Edmund Morris, Theodore Rex at 343-64 (Random House; New York, 2001).